Especially ones when the receiver has no idea they are getting a quilt. Sadly, the colours on the outdoor pictures of this quilt are totally out of whack. 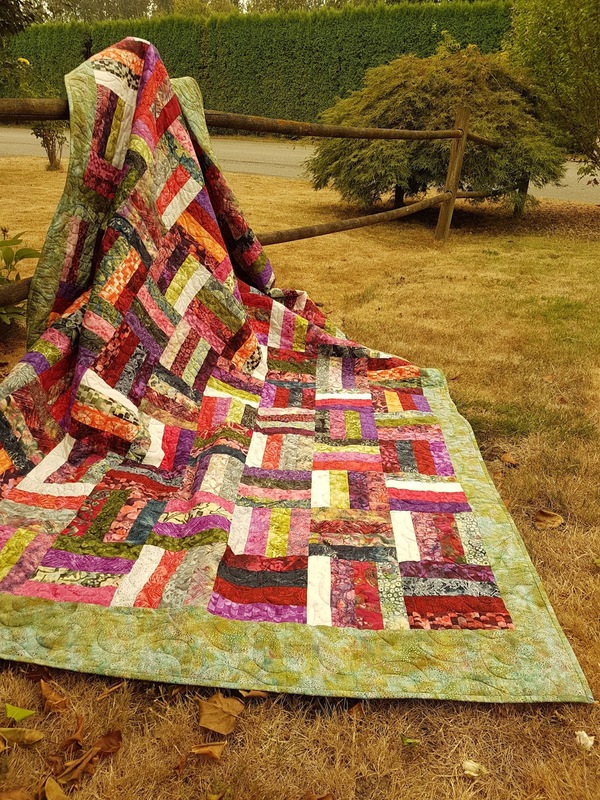 This quilt was a gift for a young woman in our church who had just graduated from Bible school. The best part was she was totally shocked to receive it. I found that funny since two of her siblings have received quilts from me as well. The true colours of this quilt. The border fabric was a lucky find. I mixed a few batik jelly rolls to make this quilt and had a difficult finding a border fabric that worked. 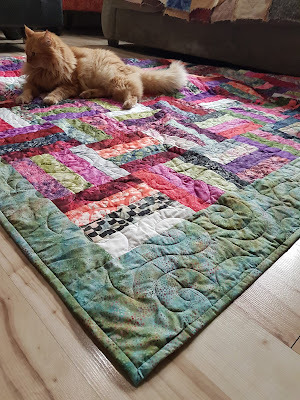 Gizmo really liked the quilt too. 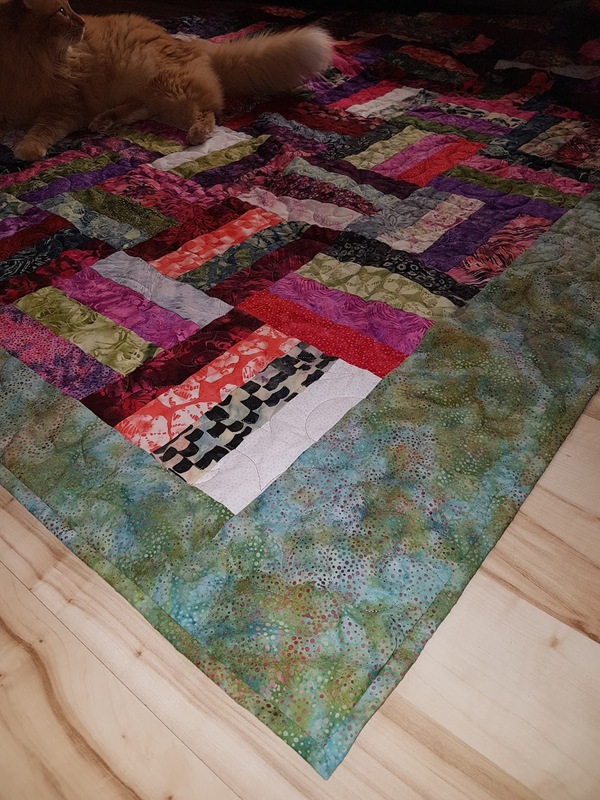 I love the quilting on this, it really softened up the lines of the piecing. I really wish I had taken more pictures of it!